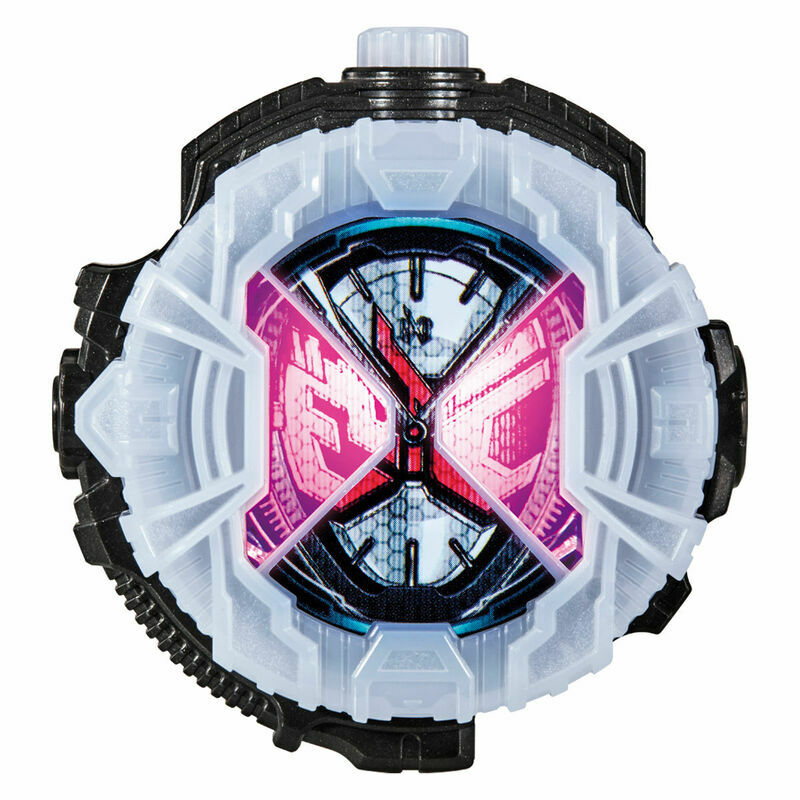 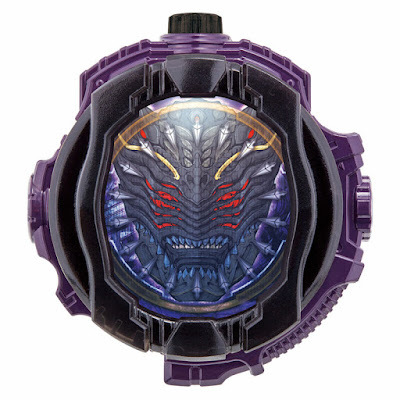 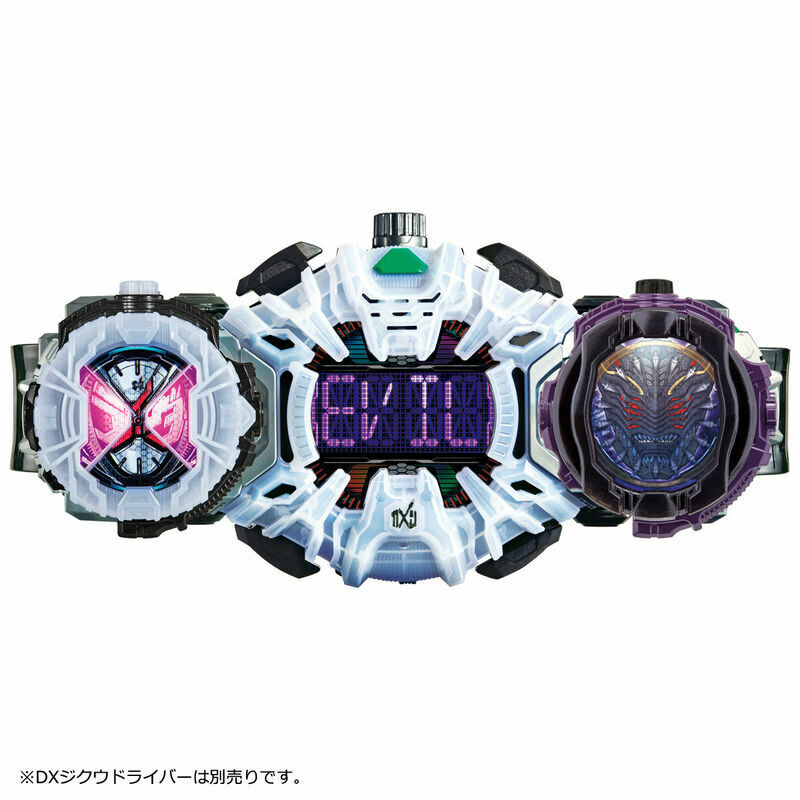 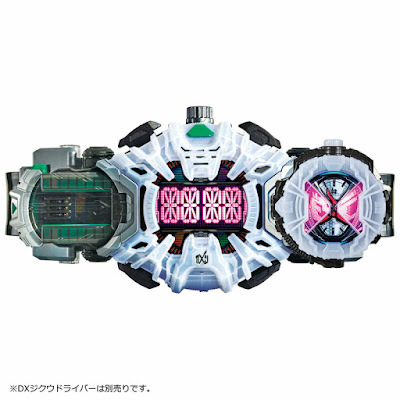 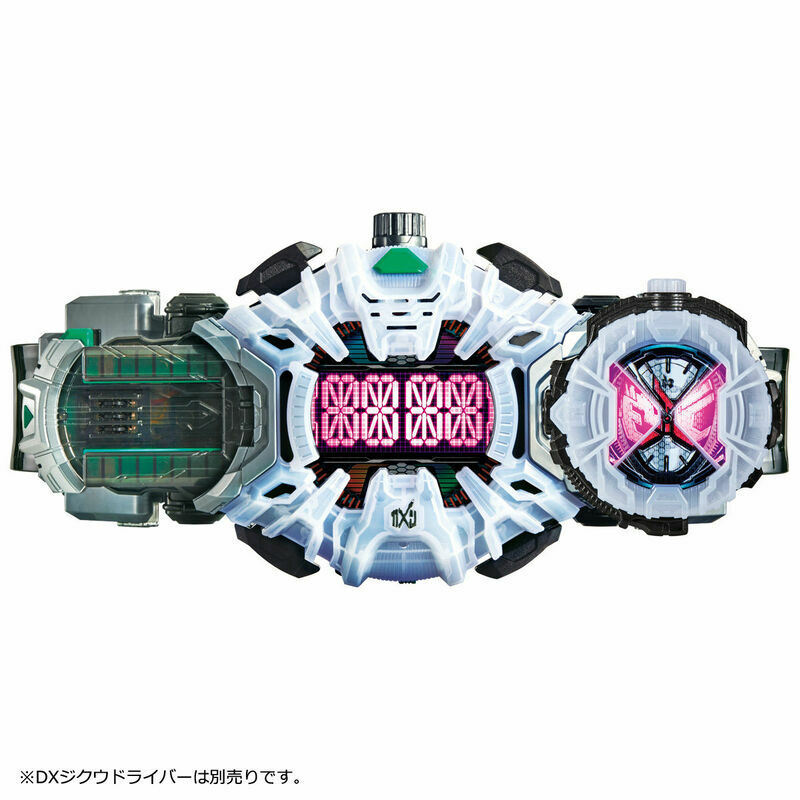 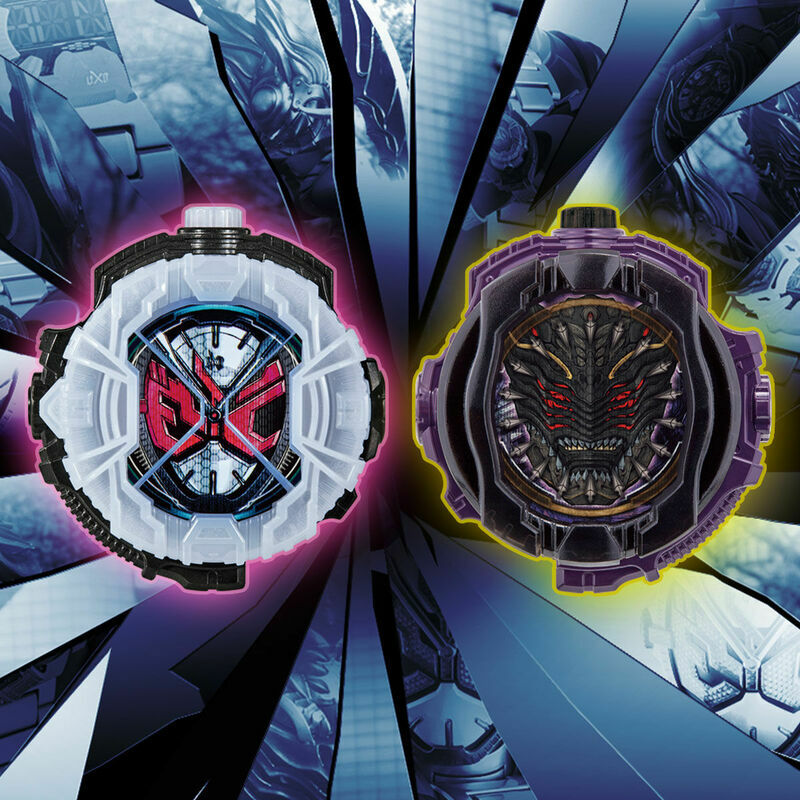 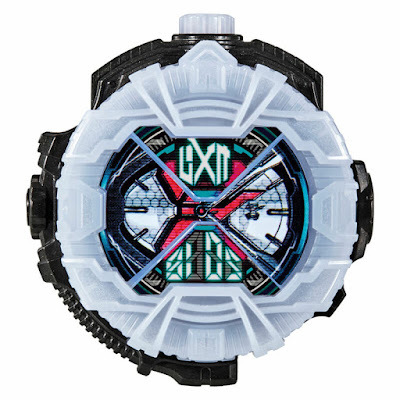 The official Premium Bandai website has posted the official images for the DX Mirror World Ride Watch Set that was seen in the recent TV episode of Kamen Rider ZI-O! 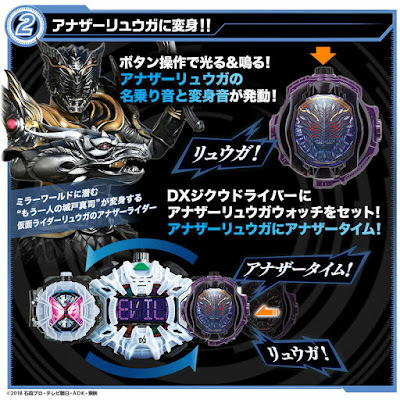 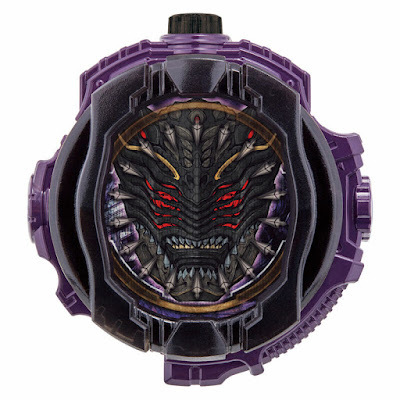 As seen in the TV series, the Mirror World version of the ZI-O Ride Watch was used by the mirror double of Sougo to transform into the reverse Kamen Rider ZI-O while the Another Ryuga Ride Watch was used by the Time Jackers to turn their random victim into Another Ryuga. Both are compatible with the DX Ziku Driver. 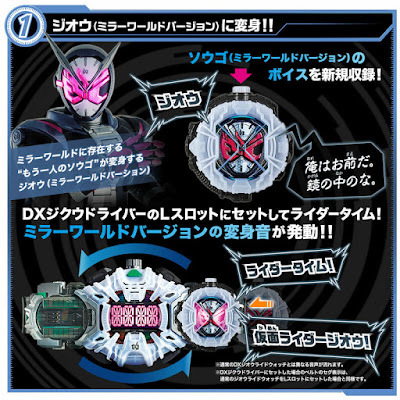 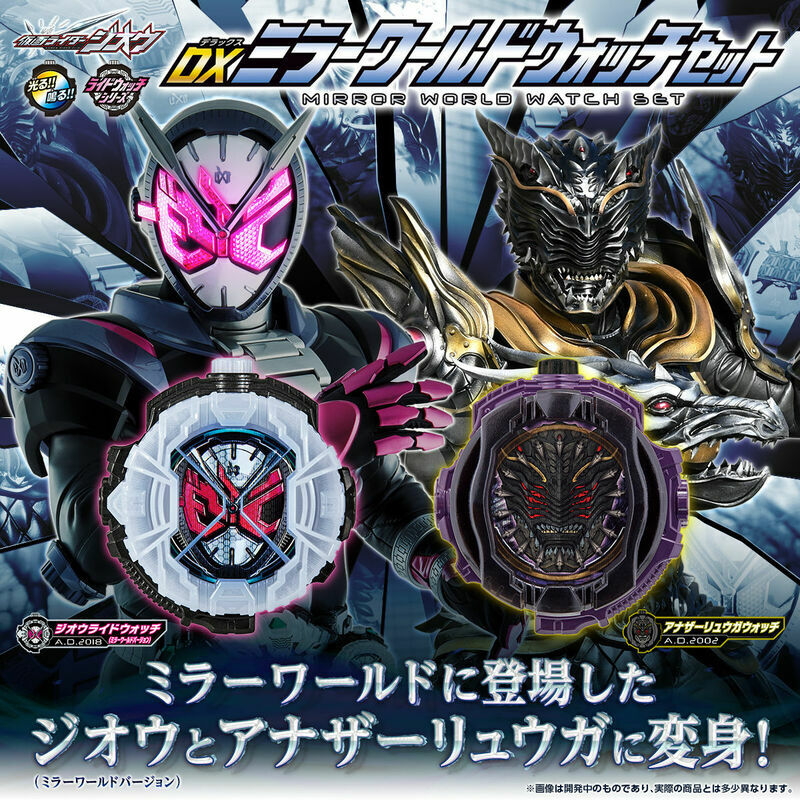 The DX Mirror World Ride Watch Set is scheduled to be released this July 2019 and will be priced at 3.240 yen with pre-orders now open and will end on March 4th.